Quilters respond! Last weekend, in the small rural Wisconsin town of Lake Hallie, a group of Girl Scouts and moms were picking litter as a community service project when a pick-up truck left the road striking 5 in the group….3 girls were killed, the mom of one of the fatalities and 1 gal is hospitalized. The young man is in custody. 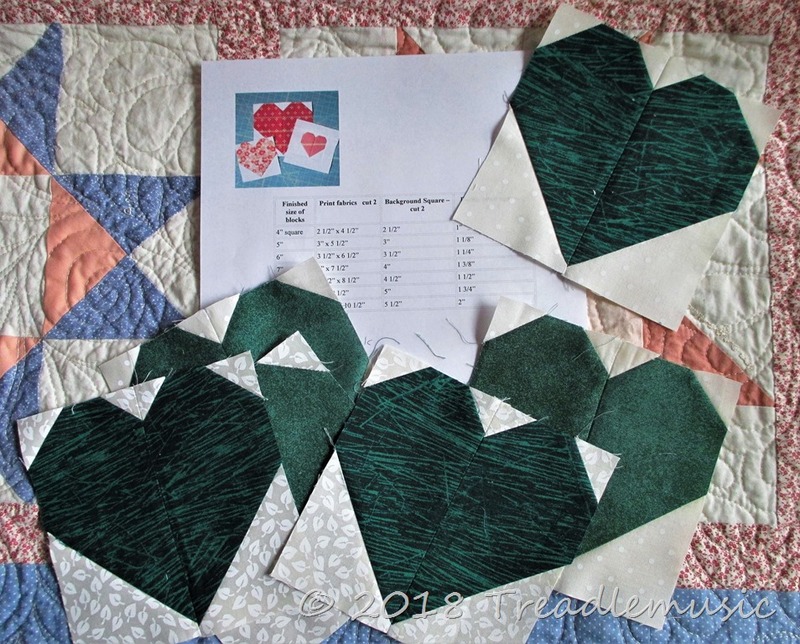 In nearby Altoona, WI, the Stitch Supply Co. has organized to create quilts of love for the 4 families (although, I suspect, the response will enable them to create more than they anticipated!). You can read the details of this “call to help” here…… So, this morning, among other small tasks, I had the pleasure to create these sweet (unfinished) 5.5” blocks…… The pattern is an easy one and may be made in many sizes. Allison, the gal behind “Cluck Cluck Sew”, provides clearly written patterns/tutorials on her blog and this pattern is so perfect for this need. This entry was posted in Charity and tagged Allison, Charity, Cluck Cluck Sew, Girl Scout, heart pattern, Lake Hallie. Bookmark the permalink. 2 Responses to When tragedy occurs…….. Such an awful tragedy–it must feel good to be able to help in some small way. I am, also, burdened with thoughts of the young man who will carry this for the rest of his life!